Our new “configurator” was designed to help you build a dream system for your shop. After answering a few easy questions, we will analyze your needs and put together the right combination of software, and hardware, to completely automate your business. When you’re done, you’ll have a detailed (and guaranteed) price quote that you can either order or send to us for a free design review. If you get stuck at any point, just click Help for some tips on getting the answer right. Store owners who are new to running a resale shop will benefit greatly from reading “The Ultimate Resale Shop Operations Manual”. This guide, affordably priced at $75, is a “must read” for anyone getting started in the resale / consignment business! If you’re a larger store or simply want to divide up your workload, multiple computers can be networked together to simplify your operation. Our most common setup is one computer in the back of the store for intake (tagging) and one in the front for checkout (point-of-sale). Some larger stores may have multiples of either or both (2 checkout, 2 intake, etc). You might also have a back-office computer for reporting or accounting. 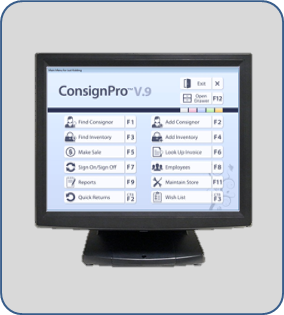 One of the big advantages to using ConsignPro is that it turns your computer into a point-of-sale station – eliminating the need for a cash register. However, some store owners choose to use a cash register for checkout and simply use one computer in the back of the store for check-in. Tickets would then need to be posted into the computer at the end of the day – in effect doubling the work. The busier the store, the longer the checkout lines. Having multiple computers for ringing up customers will shorten those lines and speed up your sales. Each checkout station would require a network license of ConsignPro as well as receipt printer, cash drawer, scanning gun, and maybe credit card setup. In short, the larger the store, the more checkout stations you should have. 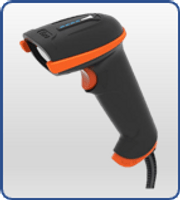 The barcode scanning gun helps you make sales faster and more accurately. It is our most popular POS hardware option. If you don’t use a scan gun, you can still type in the item number on our Make Sale screen but risk typo’s or keying errors. Barcodes automatically appear on most of our tag designs. The cost of our scan gun is currently $189. ConsignPro had built-in credit card processing if you use our merchant processing company, X-Charge. If you elect not to process through X-Charge, you will select No to the question and obtain separate credit card processing equipment from another vendor. You can automate your point-of-sale computer with a touch-screen monitor. This virtually eliminates the need to use your mouse and makes ringing up sales faster and easier. 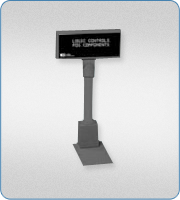 The current price of our touch screen monitor is $595. If your customers are the kind who want to see prices as you ring up their items, the pole display is perfect for you. It attaches to your computer and comes to life during the sale process to show the customer the item and the price – as the sale is in progress. Busier or larger stores may wish to have more than one computer for intake or tagging items. You would need one computer for each tagging station and typically one Zebra thermal printer ($395) for each too – that question next. You have the choice of printing tags or labels on your full page printer, 20 or 30 tags at a time. 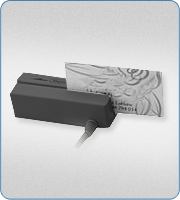 Or, printing tags using our Zebra thermal tag printer 1-2 tags at a time. The Zebra printer prints with heat – there is no ink or toner to replace. The tag designs for the thermal printer also tend to be more flexible and popular than the full-page printing options. The Zebra printer is our 2nd best selling hardware option! When you buy ConsignPro, you receive 3 months of free technical support. After that, our Support Plan is $150 per year (one computer). We can include that with today’s order and provide 15 months – assuring you’ll always have Support when you need it! The training video is a 7 hour DVD that you can watch. It is a classroom presentation where we teach a group of customers how to use each screen in the ConsignPro system. It’s a great training tool and an excellent supplement to our User Guide. Our Remote Data License gives you access to a website where you can remotely enter inventory into your ConsignPro system. You can even include item pictures. Items are then automatically downloaded into your ConsignPro database and tags are printed. $295 (one-time cost). We have built a website called MyResaleWeb.com where your consignors can view their accounts online. This service, priced at $99 for the first year, greatly reduces the phone calls to your store while building consignor loyalty in the process! Our Online Store Builder Service allows your to post your most exciting items to you very own online store where customers can shop or simply browse the new arrivals in your shop. E-Commerce have never been so easy – you simply take the picture and let ConsignPro do the rest! « Go back Build my perfect system!